My clock radio alarm is tuned to a terrific classical music station that gently awakens me with beautiful tunes. 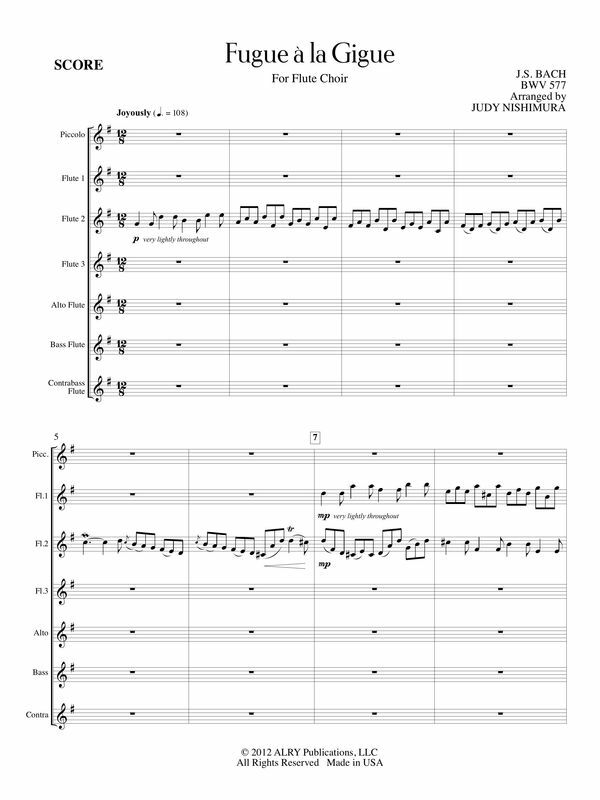 In my half-conscious state, I sometimes get ideas that lead to flute choir arrangements and this piece is just one example. Of course, the contrapuntal nature of just about any Bach fugue will lend itself admirably to an ensemble arrangement, but this one, with its lively dance rhythms, really appealed to me. Precision is key here and the only way to accomplish that is to tread lightly.